It’s summer so we are obliged to do at least one post on pools we have designed into our houses over the years. Their settings range from an intimate garden to a waterfront resort. For each we took into consideration the best orientation, access and style to suit the design of the homes and people who are using them. 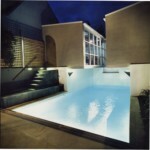 The first to feature is the pool at our Bellevue Hill house (below). The existing site was flat and included a north-facing pool which needed re-tiling. The turquoise blue mosaic tiles used provide a cooling backdrop to the level garden. 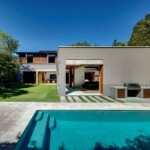 Next is our John St, Woollahra house pictured below. 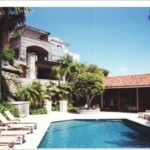 After the design was resolved and construction had begun the client decided that they would like a pool. As space was minimal the solution was to excavate under the garage which would then cantilever over the pool creating an interesting play with volumes. 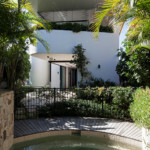 On another scale is our Wentworth Rd, Vaucluse House where the existing pool was re-tiled and set by the harbourside, with access through a tropical garden from the new house. The existing boatshed was transformed into a cabana to give a resort-like feel. 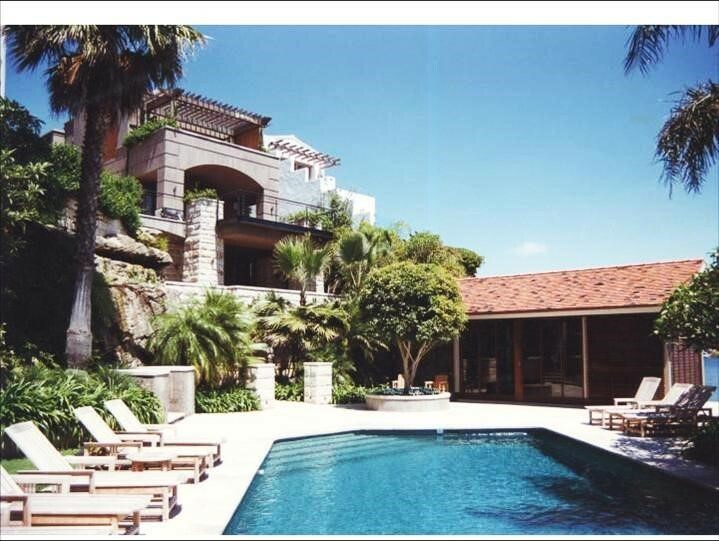 Lastly, the pool at our Tamarama house (below) was initially proposed as rectangular at the corner of the site. 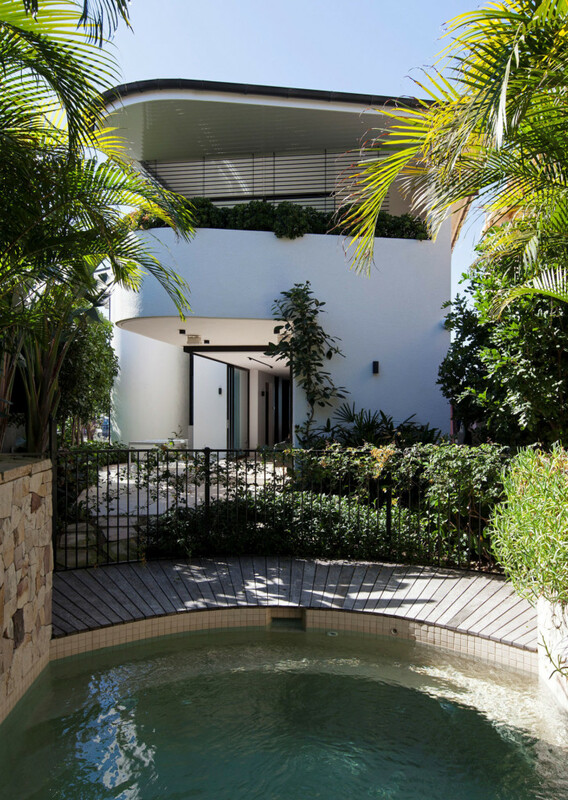 However the landscape designer, Will Dangar, thought it best to be treated more like a water feature set within the garden. 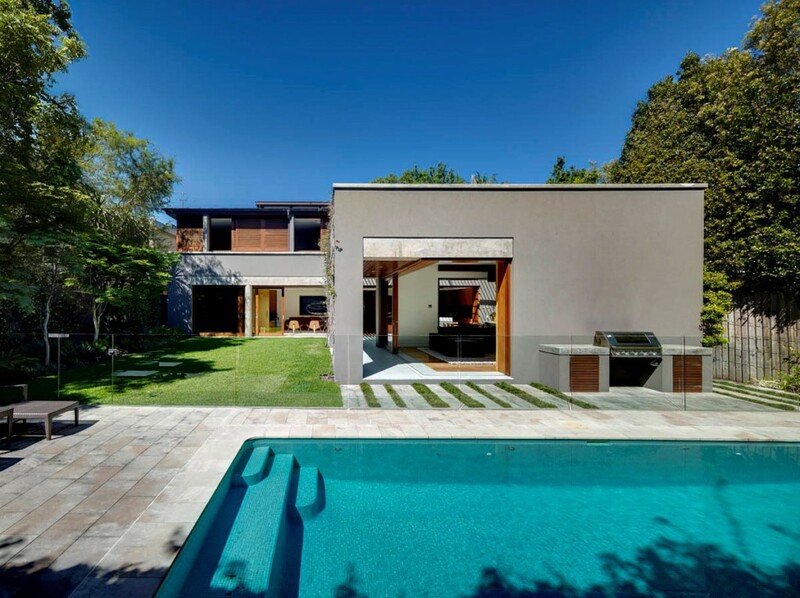 As the site is quite steep, the retaining walls surrounding the pool are stone clad and the pool tiles are neutral in tone creating an earthy natural feel which complement the organic volumes of the house.